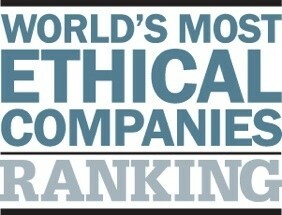 Adobe, Intel and Microsoft have all been recognized in Ethisphere Institute’s sixth annual World’s Most Ethical (WME) companies list. This year’s list includes a record 145 companies spanning over three dozen different industries with 23 businesses that have made the list all six years. Intel and Hitachi were the only two honorees in the Computer Hardware category. Six Computer Software companies received the award including Adobe, Microsoft and Symantec. Other tech-related companies in various categories include eBay, Texas Instruments and Xerox. The WME rating system scores potential honorees based on five different core categories. 25 percent of the score represents ethics and compliance programs as outlined by the Federal Sentencing Guidelines. Reputation, leadership and innovation account for 20 percent of the ranking, governance represents 10 percent, corporate citizenship and responsibility is 25 of the overall score and culture of ethics make up the remaining 20 percent. Any organization, public or private, large or small, for profit or not can participate. To do so, a representative for said company must fill out a questionnaire based on the five core categories listed above. Once submitted, the WME selection committee will then verify information provided in the application and make their selection based on that. Winners were invited to the WME Honoree Dinner held at the Grand Hyatt Hotel in New York on March 15. Former US Secretary of State Madeline Albright made the keynote speech.